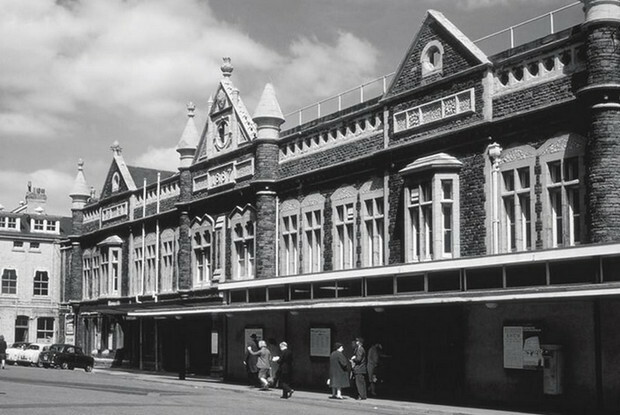 I’m just about old enough to remember when Cardiff Queen Street station was fronted by the imposing Victorian architecture of the Taff Vale Railway offices, while the main platforms above were protected from the elements by an impressive cast iron overall roof. 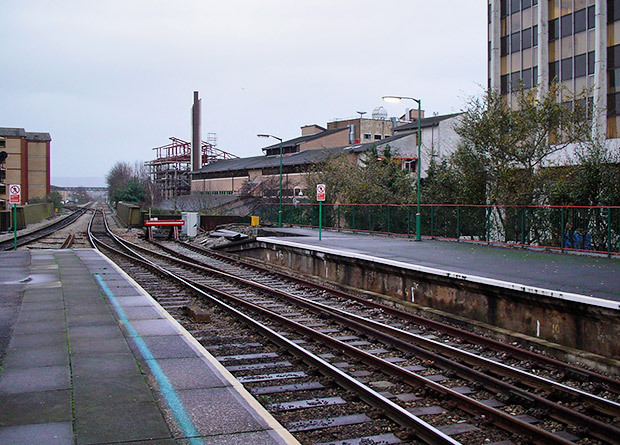 In a remarkably short-sighted move, British Rail took it upon itself to rationalise the station layout in the 70s, funnelling all traffic going to and from the Valleys on to one cramped island platform, with Platform 3 used as a terminus for the short branch to Cardiff Bay. 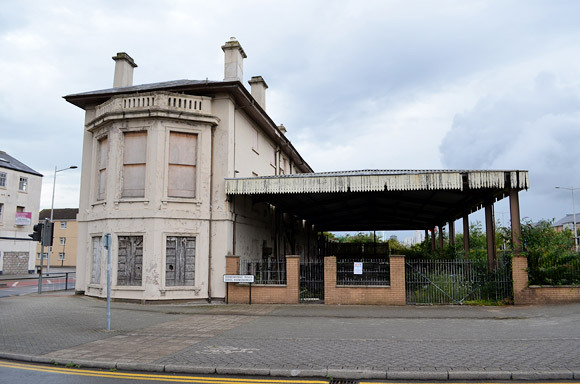 As part of the same 1973 rationalisation, the 1887 Taff Vale Railway station buildings were demolished and replaced by a thoroughly unremarkable modern structure, while the the overall roof was also removed. In the view above you can see the fine roof, with the old bay platform to the right (this didn’t make a lot of sense as it meant that trains had to cross the main running tracks to get on to the Bute Road/Bay branch.). You can also see a fine set of stone buildings running along the gas lit platforms. I have vague memories of there being quite a large refreshment room on Platform 1 – can anyone confirm this? 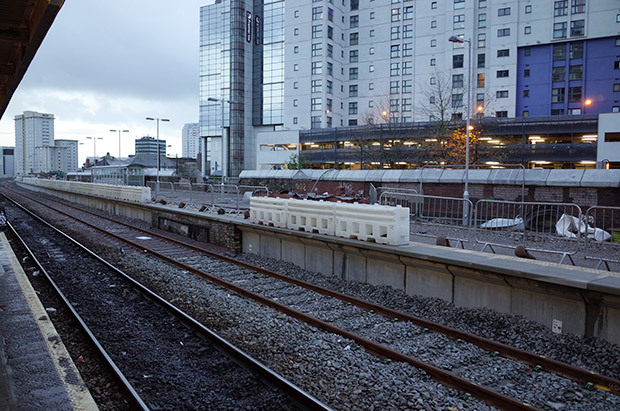 As part of a £220m scheme due to be completed by 2015, Cardiff Queen Street will see the disused platform on the west side reinstated and a new bay platform built on the east side for the Cardiff Bay shuttle service. 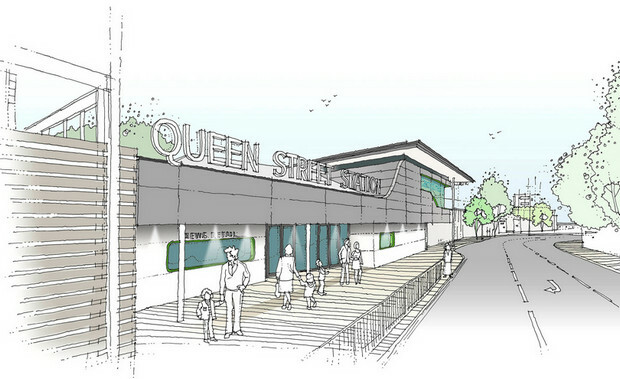 The existing dire booking hall at Queen Street will be flattened, with a snazzy new station entrance (below)giving access to the new platforms. 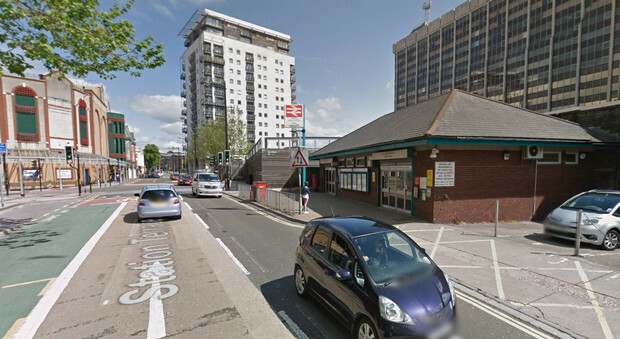 This scheme will take the railway in Cardiff and South Wales Valleys into the next frontier. The benefits of this scheme are huge as it lays the fundamental building blocks to unlock the untapped potential of this area, whilst paving the way for electrification and meeting a growing demand. 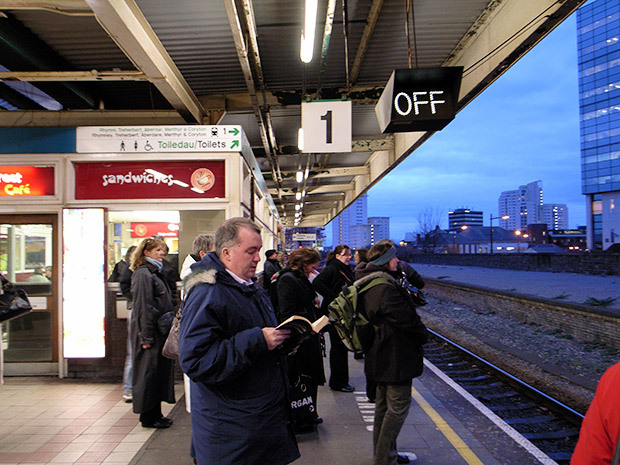 The main hub of the Valley Lines network, Queen Street station is located at the eastern end of the city centre, and is the second busiest station in Wales (after Cardiff Central), registering just under 2.5m passengers in the 2011/12 financial year [source]. 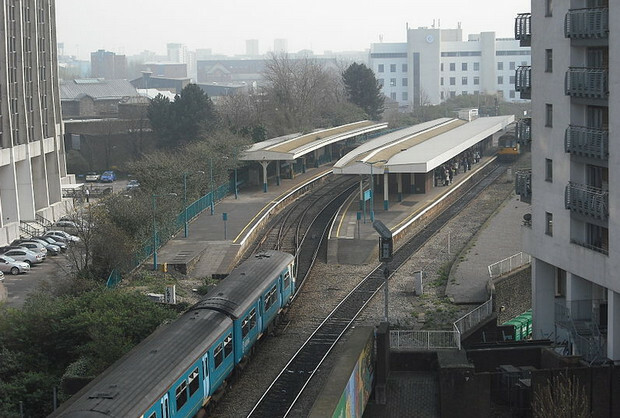 The station serves Valley lines to Aberdare, Merthyr Tydfil, Treherbert, Rhymney and Bargoed as well as Coryton in the east of Cardiff, and a short branch to Cardiff Bay. 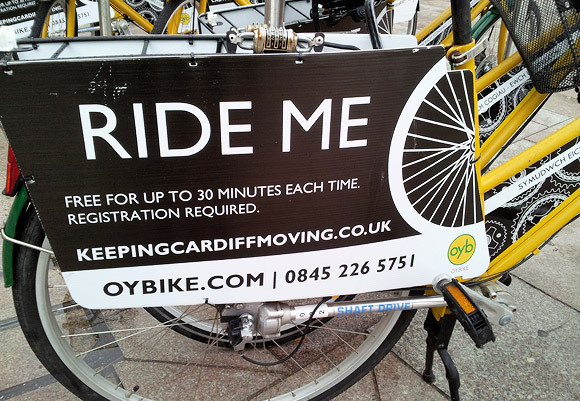 Through trains also run to Cardiff Central, Penarth, Radyr via City Line, Barry Island and Bridgend via Rhoose Cardiff International Airport. The site originally hosted a Taff Vale Railway station called “Crockherbtown,” but this was rebuilt and given its present name in 1887. 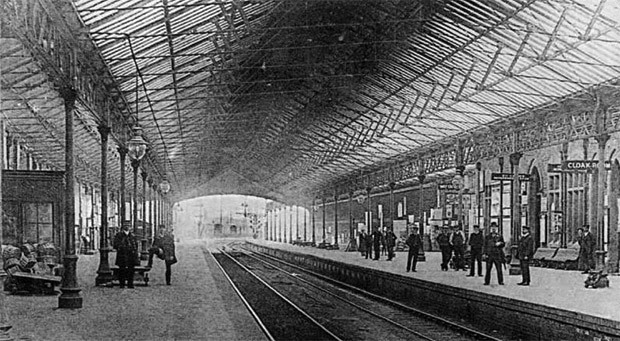 Other major rebuildings took place in 1907 and by British Rail in 1973. 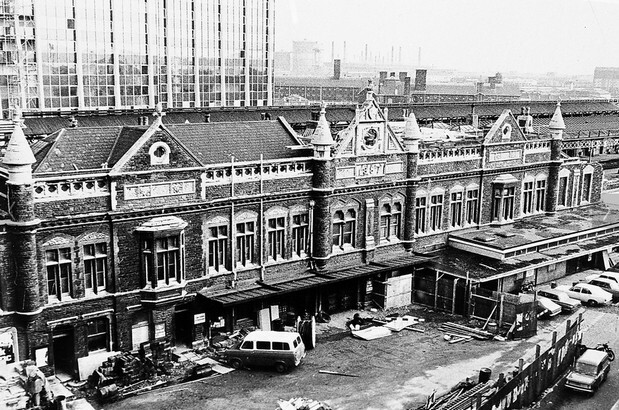 Discussion: Who remembers the old Cardiff Queen Street railway station? 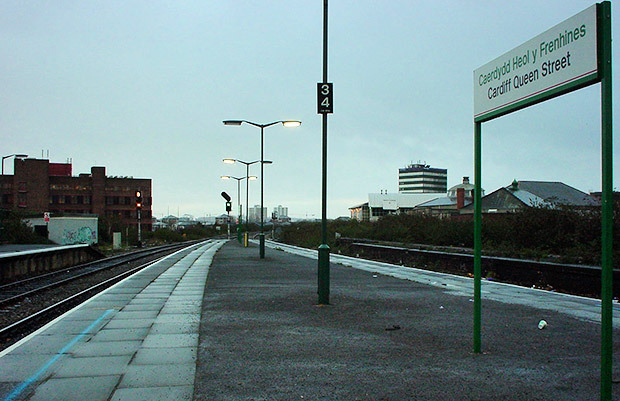 I lived on the outskirts of Cardiff for a number of years in the late 1960s and took the train most days back home to Coryton, and sometimes up the Valleys. 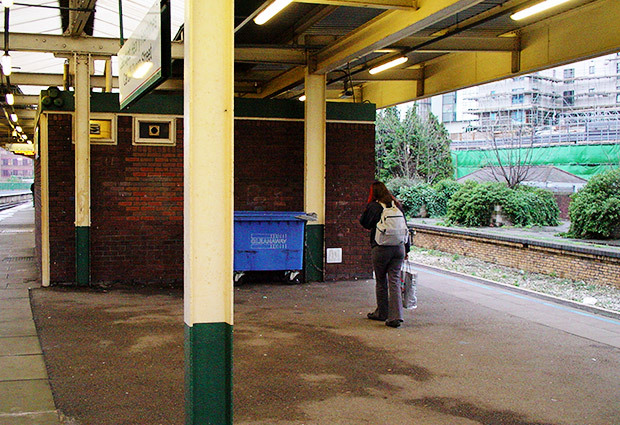 There was indeed a large traditional refreshment room on platform 1 complete with wooden counter, a coal fire in winter, glass covers on sandwiches and cakes, and such like, and it was a pleasant place to wait five or ten minutes for your train, which were rather noisy green DMUs. The refreshment room was reminiscent of the one in the film Brief Encounter, though I might be getting carried away about this. 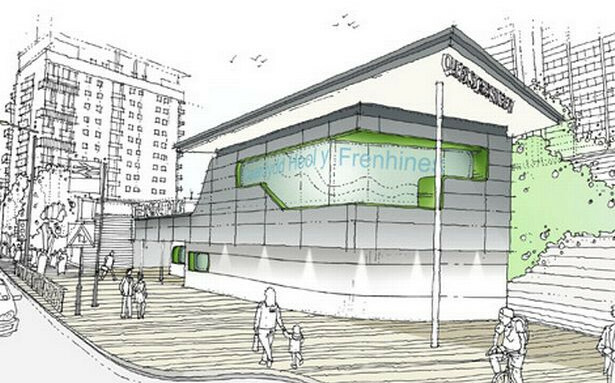 I really like the look of this scheme, it looks like its the right kind of boost Wales railways needs. I’ve used this station several times, and although not unpleasant, it certainly could have been better! 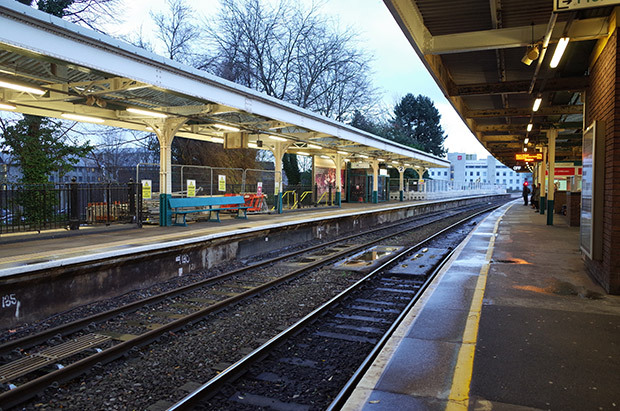 Do you know if the existing platforms will get a facelift too or will they just be renumbered? £220m scheme due to be completed by 2015? The work is already way behind schedule then!